tea party – Lizzy Acker! this is from zimbabwe, ten years ago. 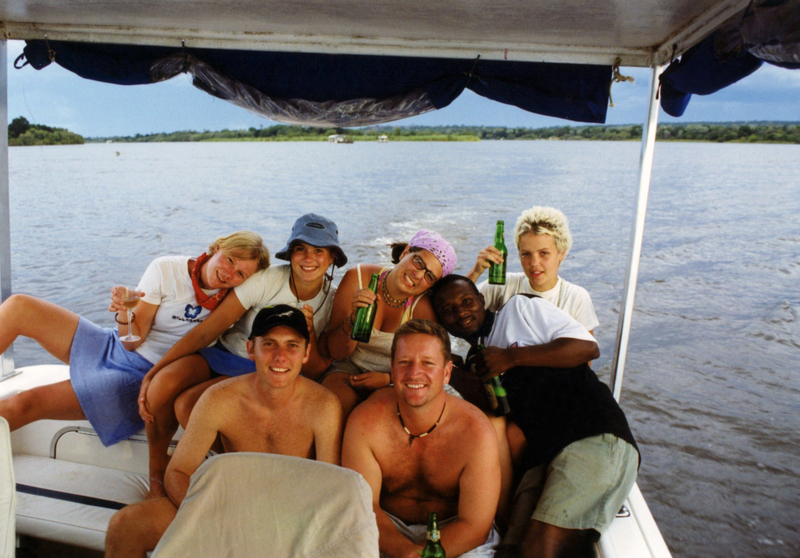 drinking zambezi on the zambezi. oh africa. i need to write about you. that is what i wanted to do today but now i want to take a shower and go to bed. i went to bed at ten last night and it was amazing. i woke up this morning and cleaned my room and played a little piano and i was still twenty minutes early to work. otherwise, the most note-worthy thing about the day is i finally got it together to buy some groceries. nothing crazy, some zucchinis and eggs. but i feel like success at home-eating is on the horizon and the next step after that is FREEDOM FROM CREDIT CARD DEBT. okay, the shower is like actually whispering my name. good night!